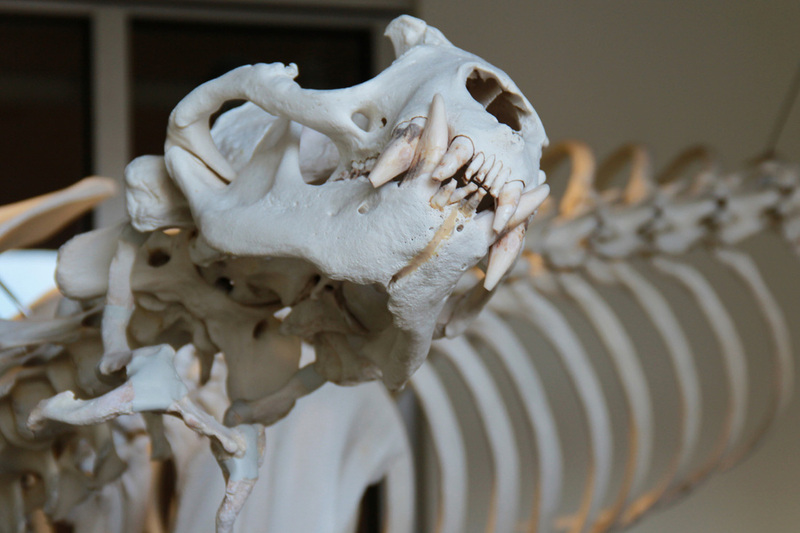 This large male Steller sea lion died in 2005 on a rocky beach near Campbell River, B.C. He was found emaciated and in poor condition and eventually died of pneumonia. 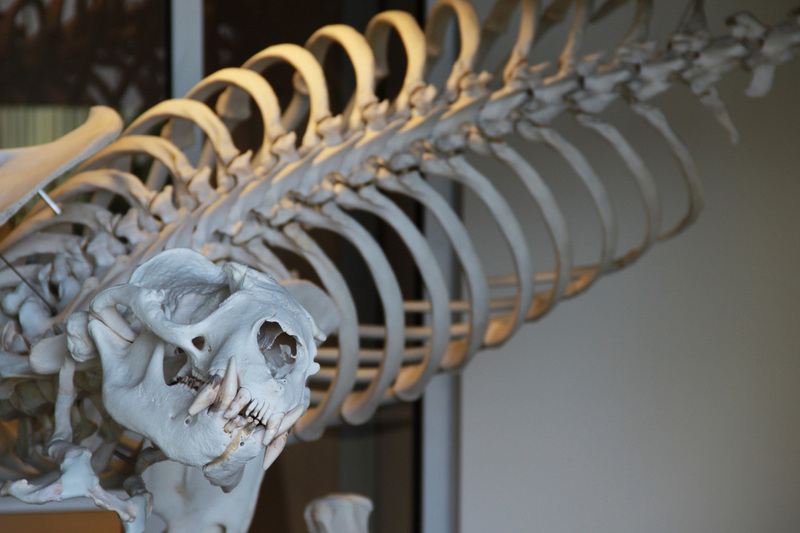 His skeleton is unique in that most Steller sea lions have 15 sets of ribs but this individual has a tiny 16th set. 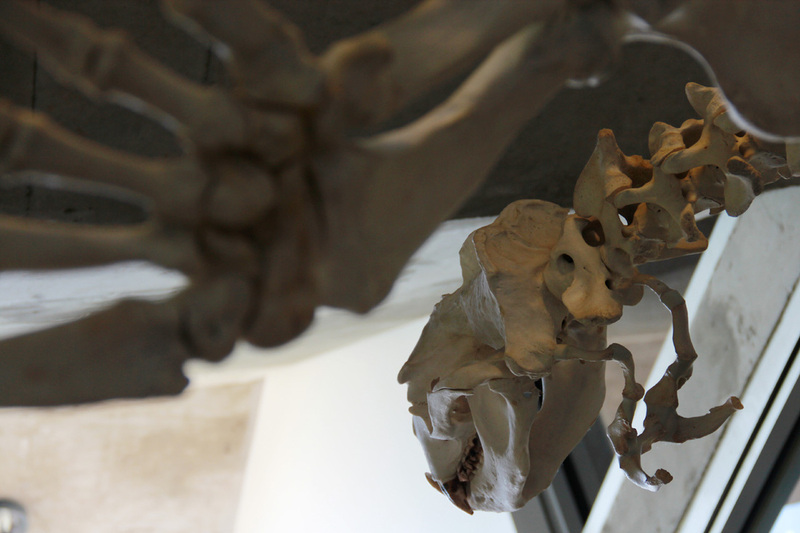 The skeleton has an internal steel supporting armature with minimal visible stainless steel beyond the cables on which it is fully suspended. This animal is portrayed gliding out of a swift and graceful underwater turn. 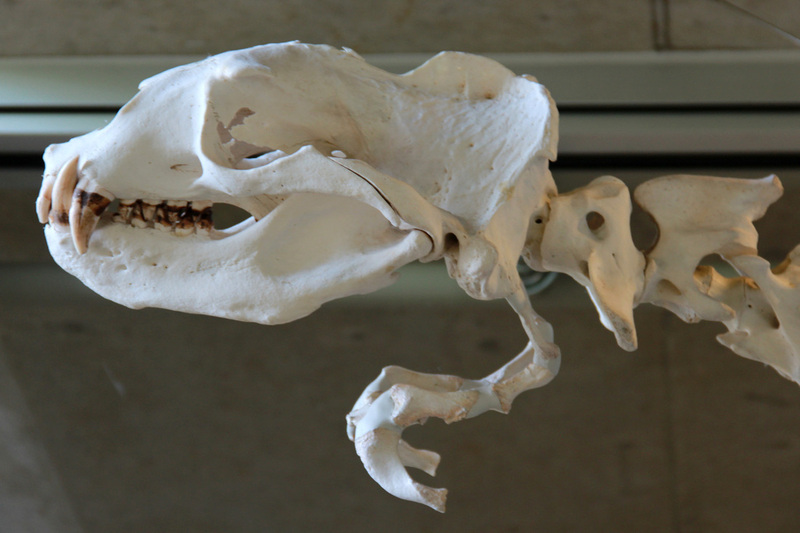 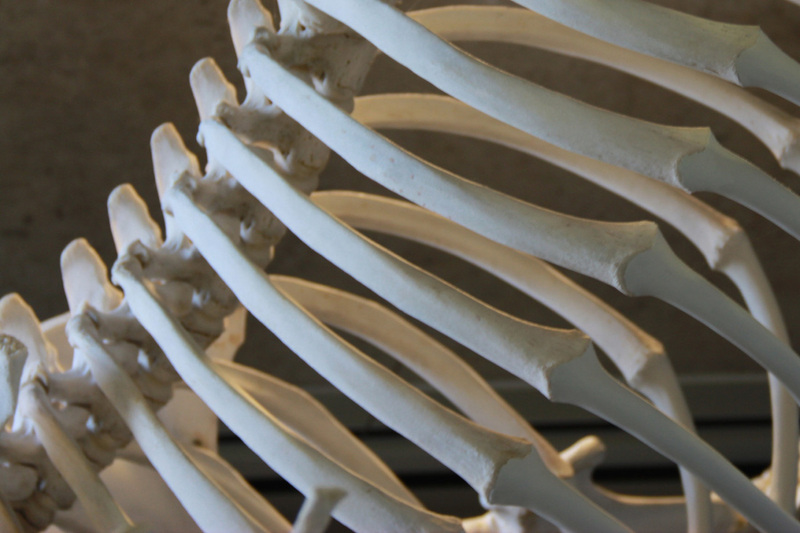 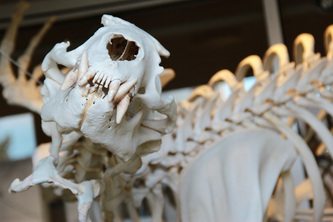 It is held within the University of British Columbia's Skeleton Project collection.